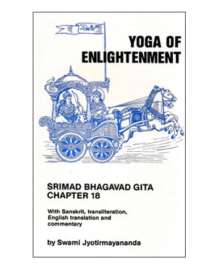 Chapter 18 of the Bhagavad Gita—Sanskrit, translation and detailed commentary. 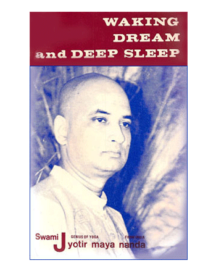 This book is essentially “The Essence of the Gita.” In this book, we get an accurate account of a hero’s (every individual) struggle, his conflicts, and Krishna’s liberating teachings. Detailing the 18th Chapter, this book brings the highest wisdom, uniquely presented, and matchless in practical value. 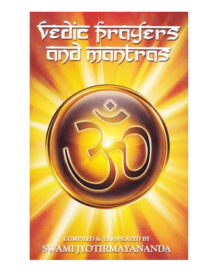 This little book contains a few salient and popular Hymns, Prayers and Mantras that are used regularly in the Ashrams of Sri Swami Jyotirmayananda. 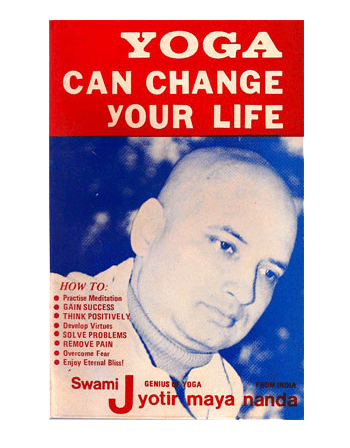 It is dedicated to all aspirants to enjoy, to memorize, to reflect upon, and imbibe in one's daily spiritual practice. 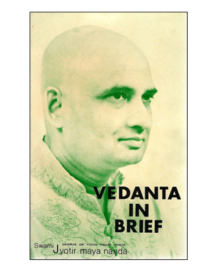 Acquire a knowledge of the basic structure of Vedanta philosophy in a very short time.